Robert Browning, English poet and playwright, 1859. 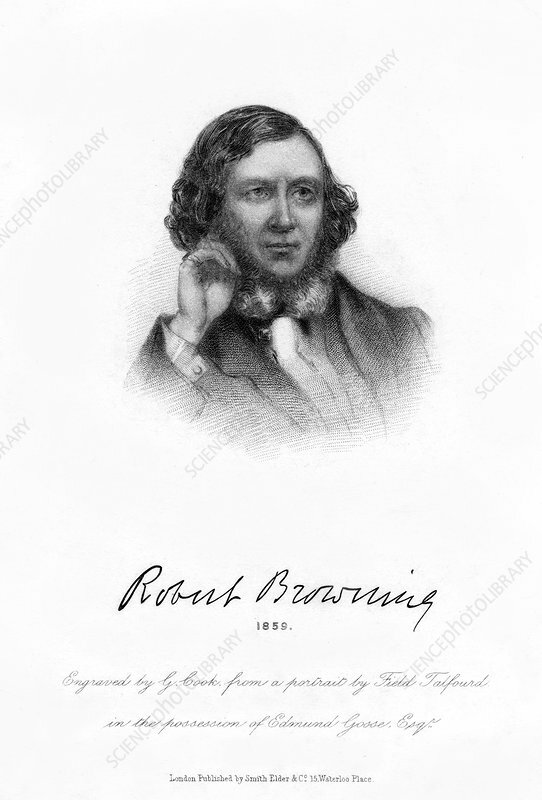 Born in Camberwell, London, Browning (1812-1889) published his first poem Pauline in 1833 and achieved his first critical success with the long dramatic poem Paracelsus in 1835. In 1846 he eloped with the poet Elizabeth Barrett and they settled in Italy. Artist: G Cook.